It’s a dream come true for AMA Monster Energy Supercross fan as they come to perform an unstoppable show at AT&T Stadium – make the most of this incredible experience by booking tickets for the Saturday 16th February 2019! Nothing beats seeing a worldwide name grace the stage! 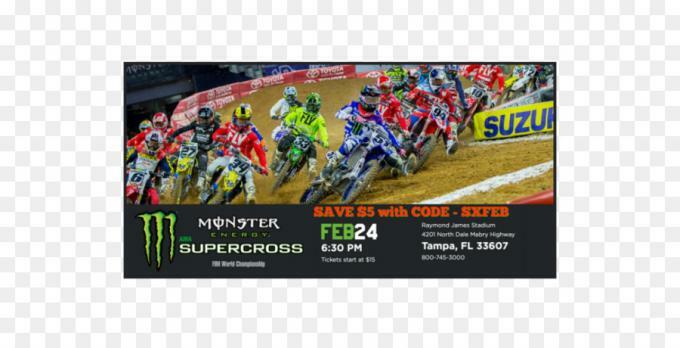 Music fans unite as AMA Monster Energy Supercross is on tour right now and will be stopping off at AT&T Stadium for an exiciting night of performance on Saturday 16th February 2019. If you have been waiting for the chance to sing your favorite lyric line in a live crowd then this is your moment – take it, before it's too late! After all, how often does your favorite artist come to town!